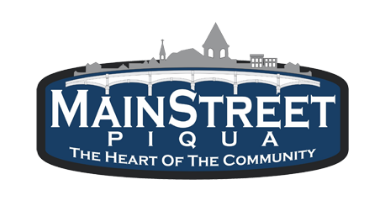 Mainstreet Piqua is a non-profit organization, which focuses on the development and promotion of the downtown Piqua’s historic district. Each year the organization voluntarily goes through an evaluation process that is coordinated by Heritage Ohio. As a result of the evaluation Piqua has once again achieved State and National Accreditation as a certified National Main Street Program for 15 years in a row. 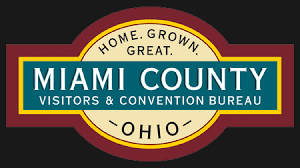 Mainstreet Piqua is responsible for a number of projects in the Piqua community including downtown beautification, the Piqua Community Farmers Market, Taste of the Arts and many other events and programs. The 2016 Mainstreet Piqua board of trustees is chaired by Cathy Oda (Koverman Staley Dickerson Insurance), the vice chair is Joe Hinds (Unity National Bank), the treasurer is Vicki Burke (Unity National Bank), secretary is Jim Henestoefel and past chair is Bert Harrison from Barclay’s Men’s-Women’s Clothier. Other board members include Peggy Wiggins (Edison Community College), Lisa Whitaker (PSC Crane and Rigging), Ryan King (Can’t Stop Running), Amber Lange (The French Oil Mill Machinery Company), Jim Hemmert, Mary Teach (Tapestry Angel), Bob Greaser (City of Piqua), Robin Heintz (Piqua Public Library), Scott Miller (Piqua Area Chamber of Commerce) and Jackie Shinall (Miami County AAA). “There are literally thousands of Main Street programs throughout the country but a relatively small number of them are Nationally accredited” says Swisher. “Our program is a direct reflection of our community, and I believe Piqua is a very special place.” says Swisher.